Home / Modern Pest Blog / Bedbugs: Keep Them Out Of Your Empty Nest! 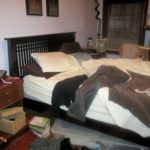 Bedbugs: Keep Them Out Of Your Empty Nest! Bedbugs are considered the “hitchhiker’s” of the bug world because they can easily and quickly crawl onto luggage, bags, clothing or other items in areas where people often live, congregate or stay. Therefore, it may be no surprise that college campuses are often a hotbed of bedbug activity, with a constant rotation of new students and visitors to travel and feast on (ick!). Even if your kid’s dorm is bedbug free, taking precautions is wise – saving you the headache of dealing with an infestation in your home. So what can you do to prevent your kids from potentially bringing home these unwanted guests during their next school break? Put all clothing and bedding in tightly closed plastic garbage bags, for laundering. If your child is able to, completely empty their backpack and vacuum it, inside and out. Seal all books, personal items and electronics in large sealable baggies. Now that you have hopefully contained a potential pest situation, what can you do to keep Bedbugs out of your home? Well now comes the dirty work… In short, inspecting and cleaning everything before bringing it into the house. Wash all machine washable items right away on the highest allowable setting per the garment instructions. Also dry items on the highest allowed setting, as heat can kill bedbugs and their eggs. 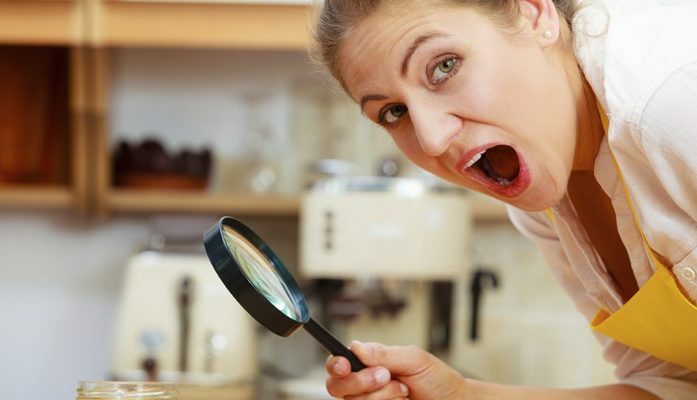 If you are able to practically do this, place items that can’t be easily laundered in plastic bags in the freezer for 5 days, (at 0 degrees or below, it’s important to use a thermometer to verify the temp is cold enough as many home freezers are not nearly this cold) which will also kill any bedbugs or eggs. Bedbugs often hide in folds, seams, linings and pockets. Therefore, carefully checking backpacks, laptop bags, and other travel packs is essential. You may even clean them with a steam cleaner if you are able. Hard items like laptops, electronics, books, should be carefully inspected and wiped down. Facing a bedbug infestation can take a physical and emotional toll on homeowners and prove to be frustrating to resolve. 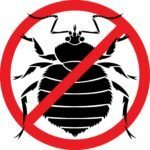 Modern Pest Services can offer both conventional application treatment and an innovative heat treatment as part of a customized bedbug treatment plan. Don’t panic! You don’t have to throw out all of your things, most things can be treated and saved. As soon as bed bugs are suspected, contact Modern Pest Services for a thorough inspection to determine the extent of the infestation. Modern will then discuss a treatment strategy and follow-up plan, including Integrated Pest Management (IPM) techniques.